Fat LossTested Green Coffee - 60 kaps. Extremely carefully designed supplement. Does not stimulate me irritable, does not increase the pressure or body temperature. Effectively burns fat and causes no yo-yo effect! Tested Green Coffee - 60 kaps. Green tea helps in weight loss and helps to combat cellulite. The product is based on the best extract of green coffee beans, which further jet standardized to 50% chlorogenic acid. Help yourself to lose weight and improve health. Only the highest quality ensures the safety of the supplement. Tested Essetials Green Coffee is a product with a high content of an extract of green coffee beans. An additional advantage is that the standardized amount of 50% chlorogenic acid, whose action is reflected in the regulation of blood glucose levels by reducing the absorption of food. Among other things, such action on our body, we are able to more quickly and in a more pleasant way to lead reduction (to lose weight). Another advantage is to increase the metabolism due to the content of natural caffeine. Tested Essetials Green Coffee is one of the best products of this type on the market - bet on quality! 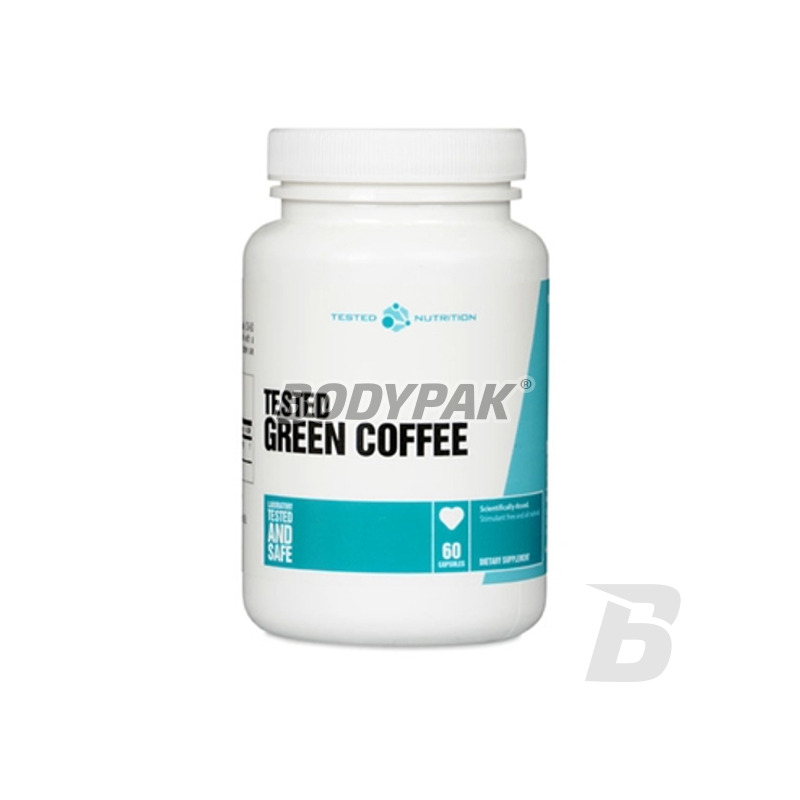 Research shows a direct impact already 200mg extract of green coffee to lose kilos of body weight (in 1 capsule is up to 400mg). Use this supplement being quiet about their health and the lack of side effects. Inne składniki: celuloza mikrokrystaliczna, stearynian magnezu, żelatyna i woda. Hi Tec Thermo Fusion - 120 kaps. Extremely strong and very effective preparation FAT Burner, which effectively and quickly helps fat loss in the body and inhibits its re-accumulation, which prevents the yo-yo effect. If you are looking for a way to faster weight loss and support the body in the fight against cellulite? This product fits your needs. High concentrations of the active substance and convenience supplementation will certainly appeal to you.